Dr Michael Doube earned a veterinary degree at Massey University, New Zealand and a PhD at Queen Mary, University of London, on early changes in the equine third metacarpal bone in the same site as later condylar fracture. During a postdoc at Imperial College London's Department of Bioengineering, in collaboration with the RVC's Structure and Motion Laboratory, Michael investigated scaling of bone microstructure and gross dimensions in relation to animal size. To accomplish this research, Michael started the BoneJ software project, which brought together existing and new programs for bone image analysis. After a stint at the Light Microscopy Facility of the Max Planck Institute of Molecular Cell Biology and Genetics in Dresden, Michael returned to London to take up a lectureship within The Royal Veterinary College's Department of Comparative Biomedical Sciences. Dr Doube is now an Associate Professor in CityU's Jockey Club College of Veterinary Medicine and Life Sciences. 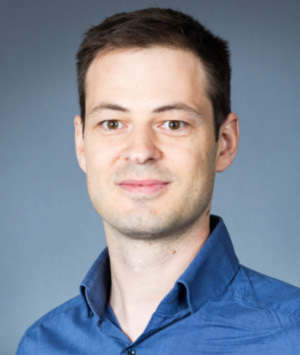 Dr Doube's research concentrates on imaging and bioimage informatics of skeletal tissues. Michael continues to work on BoneJ, now in its second major iteration (BoneJ2), supported by funding from the Wellcome Trust, the Royal Society, and BBSRC. He is investigating comparative skeletal physiology and anatomy, using imaging at the organ, tissue and cellular levels. Michael is an active member of the ImageJ and Fiji community, and supports BoneJ users via the ImageJ forum. Michael is a member of the Bone Research Society, and a Fellow of the Royal Microscopical Society.